Storage can become an issue quickly on your computer. Luckily Drive can take away some of the strain on your computer’s hard drive by making it easy to upload files on to the Internet. 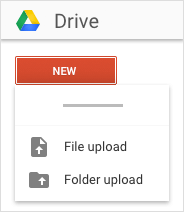 Click , select File upload or Folder upload, and then choose the file or folder you want to upload. 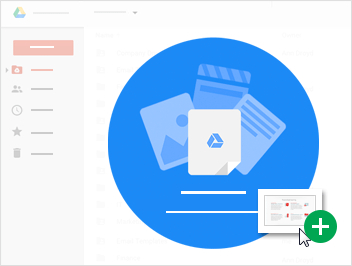 Or, if you’re using the latest version of Chrome or Firefox®, you can simply drag files directly from your computer to the Drive page on your browser. When you see Upload complete, your files have uploaded successfully and can be accessed in any browser or device that has Drive installed.